Over the Christmas period there are a number of things not to be missed at Great Park Farm. 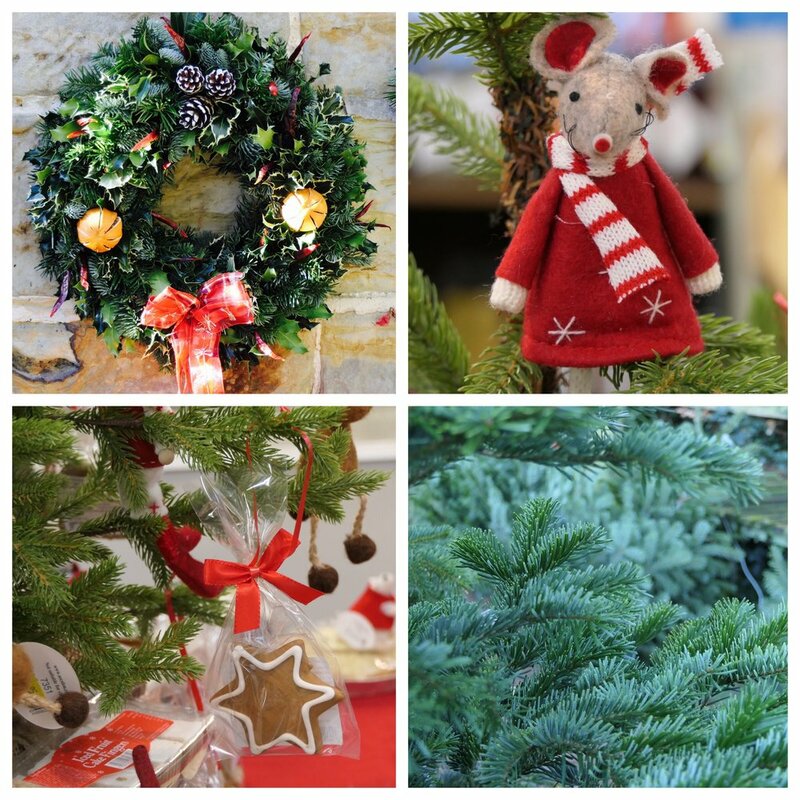 Whether it's our large range of Christmas Trees and Wreaths, to the annual 'Candlelit Carol' evenings in the cafe, there are many things around to help you get in to the festive spirit! For those of you who are not familiar with us, we can take care of your entire Christmas food list. From Turkeys to Tomatoes we have got you covered with one of our handy order forms. Simply fill out a form (which can be downloaded here or picked up in the farm shop) and submit it to us by Sunday 17th December 2017. Your order will then be prepared and packed into a box, ready for the collection time of your choosing. The only thing we can't do for you is cook it! We can also take separate orders for cakes and cheeses. Our cakes are made locally by Lynn from 'Let Me Bake It', who has been selling her cakes in the shop for a number of years now and can cater for food allergies and intolerances, including gluten, lactose and diabetes. We have a wide-selection of cheeses available to order, with some particularly nice examples from the Sussex and Kent area. Be sure to ask a staff member in the kitchen for more details. We also have a variety of Christmas Decorations and some ideal stocking fillers in our gift sections. If you're looking for something original, or just a traditional decoration for your tree or home, then cast your eye over what we have to offer! The Farm Shop is also packed with festive treats that are perfect for Christmas Hampers or Gift Baskets. With chocolates, biscuits, chutneys, preserves, drinks and many more. So come down and see for yourself what Great Park Farm has to offer this Christmas. We're open weekdays and weekends except Mondays and will be open until 2pm on Christmas Eve.